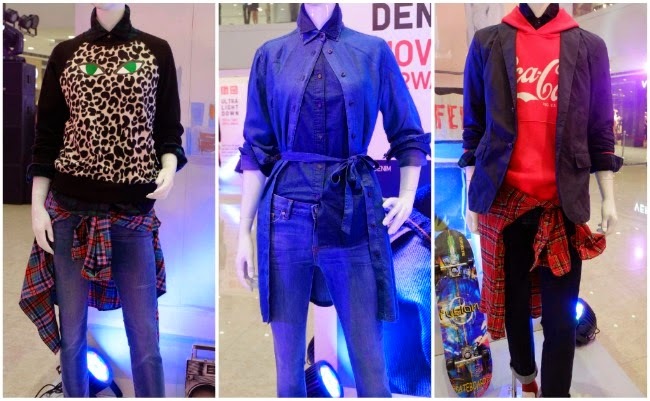 I attended the launch of Uniqlo's Fall 2104 collection a few days ago at Mega Fashion Hall. The new designs are both stylish and functional taking it's que from Uniqlo's "Lifewear" philosophy which is to make clothes that equip the wearer for whatever life has to offer in comfort and style by using the latest technology. ps. Can I just mention that I love travelling in my black corduroy Uniqlo jeggings? They are the most comfortable thing to wear during long plane rides! Very versatile too and now we can enjoy the same comfort but with an added chic factor as they transform the comfort of jeggings into jeans. 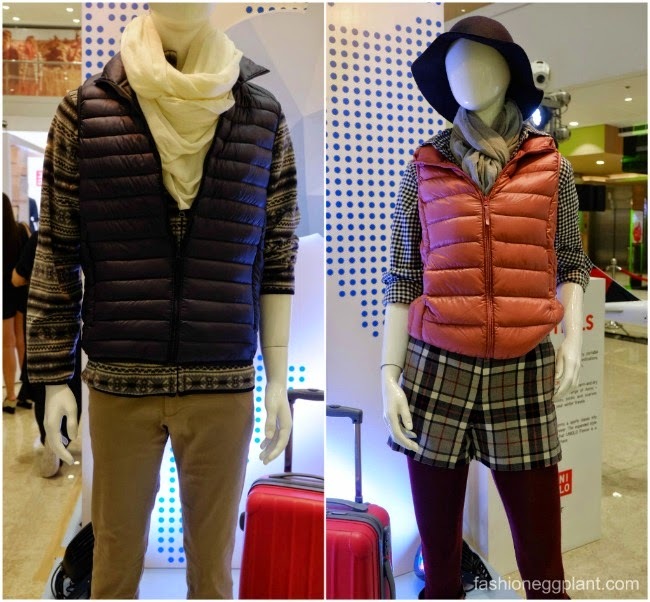 Also making its debut that day is Uniqlo's version of thermal wear called HeatTech. Unlike traditional thermal which is quite bulky, Uniqlo's HeatTech pieces are lightweight and tight fitting yet non-constricting which make them a dream to layer under your going out clothes during extremely cold weather. The range of items include classic inner wear pieces such as socks, camisoles, scarves, leggings and tights. The new women's collection is made even softer with the addition of more Camellia Oil while the men's line boasts of an increased stretch so you can move freely with no bunching.